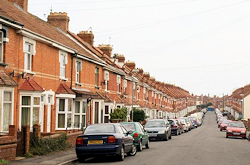 In association with the Bristol-based national Centre For Sustainable Energy (CSE), RSVP West has inaugurated a project to help older people live in energy-efficient homes that cost less to heat and maintain. For many people, particularly those who are elderly or living alone, static incomes and rising fuel costs combine to make it increasingly hard for them to keep warm. Throughout the country, it’s estimated that about 18% of households are in what is called fuel poverty — needing to spend more than 10% of their incomes on fuel. Part of the reason for this is poor insulation and inefficient appliances. Organisations such as CSE are able to help with advice about ways to make homes more energy efficient and how to get grants to carry out vital insulation work, replace old energy-guzzling boilers, improve water heating, install better heating controls, stop condensation, exclude drafts, install free water meters to limit consumption, and get the best energy deal from suppliers. The government’s Green Deal, just coming into action, is designed to help householders carry out such work. To improve their homes, however, householders have to know that their homes can be improved, that help and grants exist, and how to get them. This is the focus of the RSVP/CSE Cold Homes project. Currently, an RSVP Organiser publicises and promotes the benefits of energy efficiency and how to set about it. Training for volunteers is provided by CSE, which has extensive experience in this area. The work mainly involves taking information and advice to people in their own homes. Volunteers advise on how to reduce condensation and damp, identify home improvements that a partner organisation may be able to help with, such as home adaptations. They demonstrate how heating controls work and how to read gas and electricity meters, and explain issues concerned with fuel bills or debt and how to change energy supplier. Beyond that, volunteers work to raise public awareness by organising and running local events and presentations as well as general publicity.